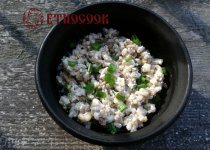 Pearl Barley is a very popular dish of the ethnic Ukrainian cuisine. 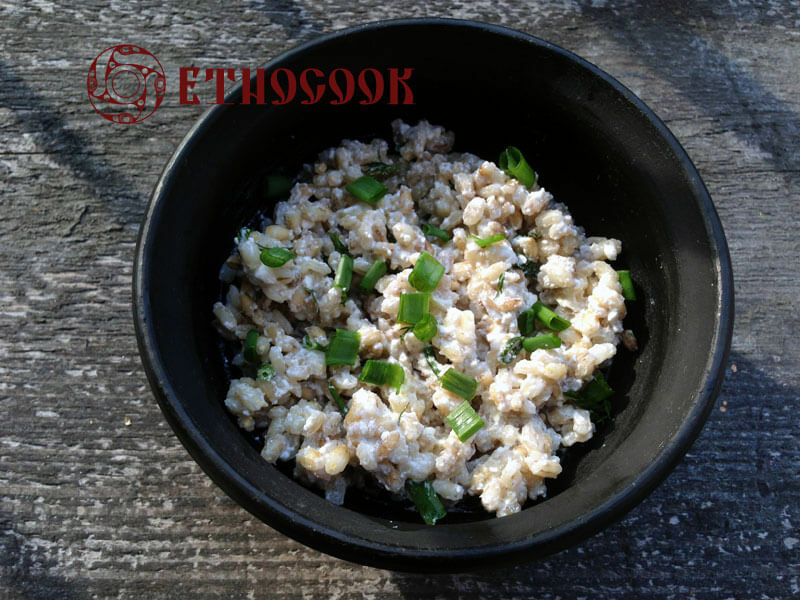 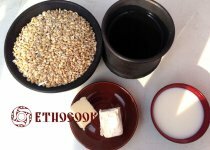 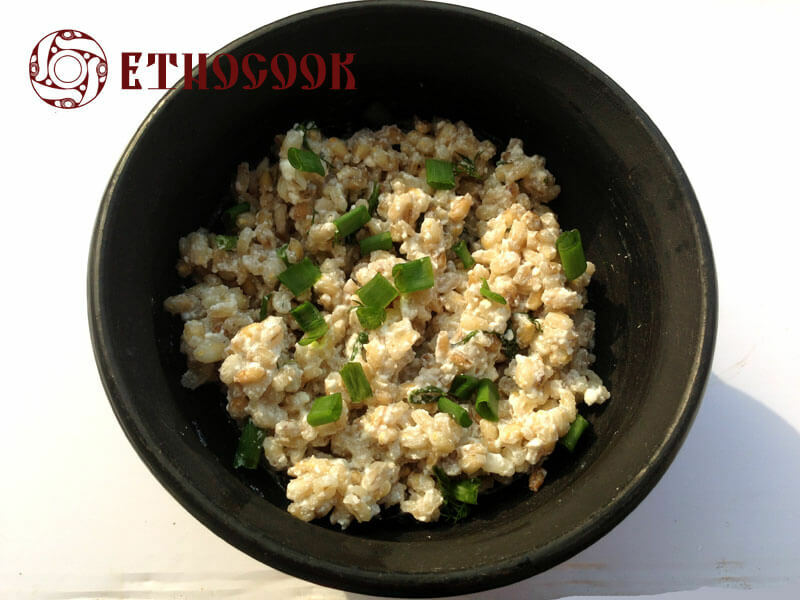 This porridge is very healthy, polished grains are soft, chewy, nutritious, and rich in fiber and vitamins. 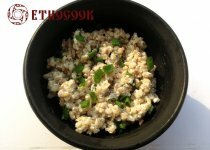 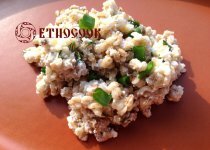 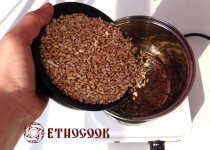 Traditional recipe of the delicious Ukrainian dish Pearl barley with cheese and greenery from the culinary website of ancient Ukrainian and Slavic ethnic cuisine Etnocook is very simple. 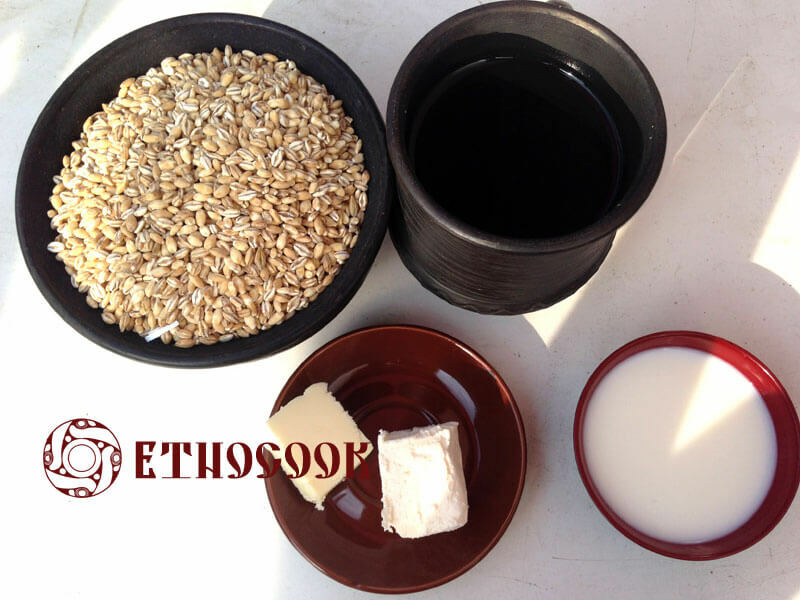 Pearl barley can be cooked with vegetables and meat, cheese, herbs. 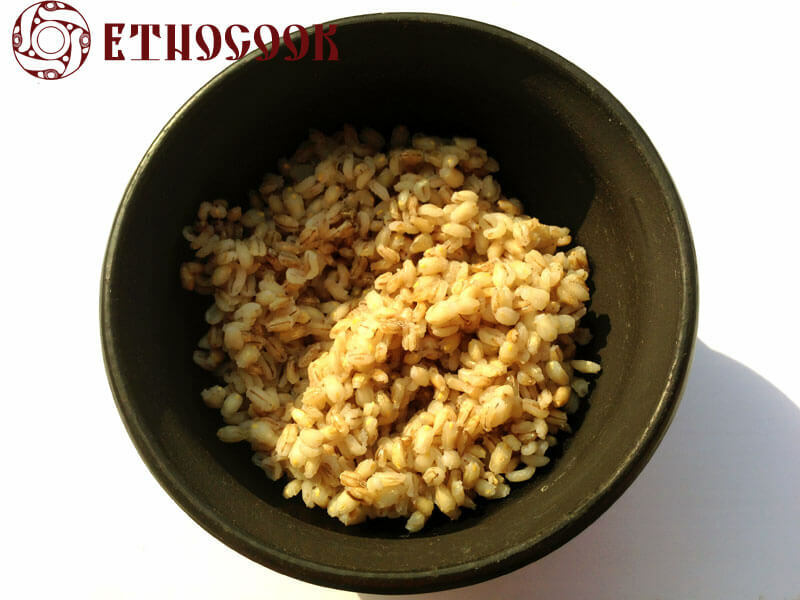 It has crunchy texture and is widely used in soups, stews, salads. 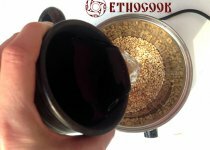 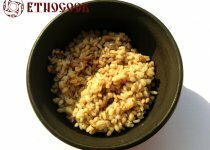 Actually, Pearled barley is highly recommended in healthy everyday nutrition. 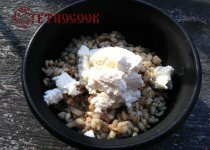 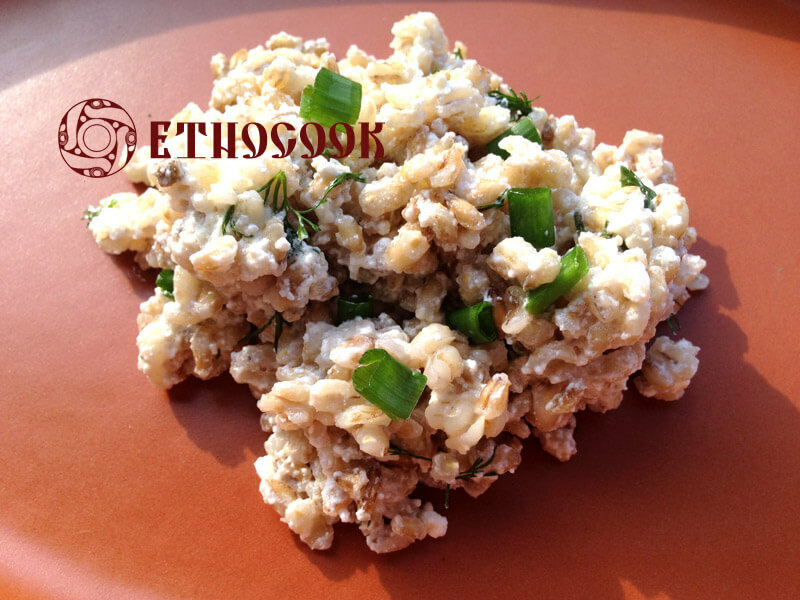 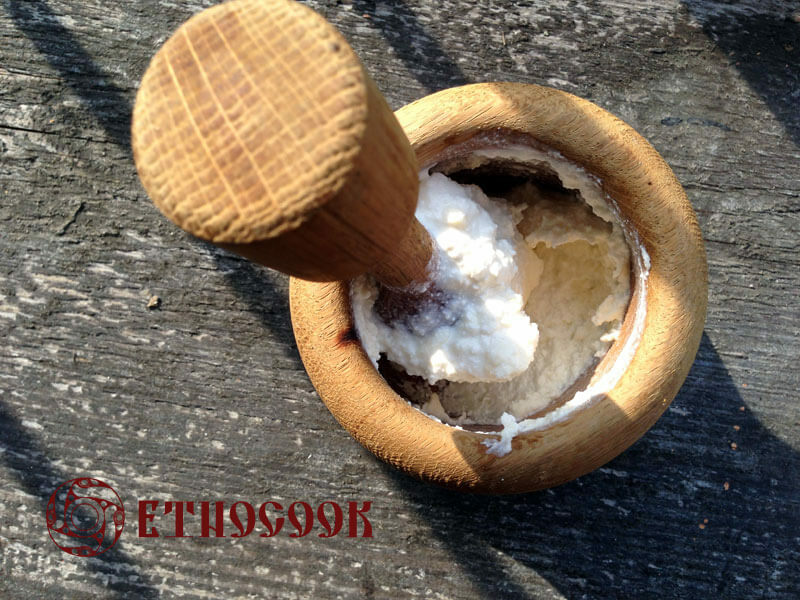 Prepare all ingredients to cook the Ukrainian ethnic dish Pearl Barley with cottage cheese. 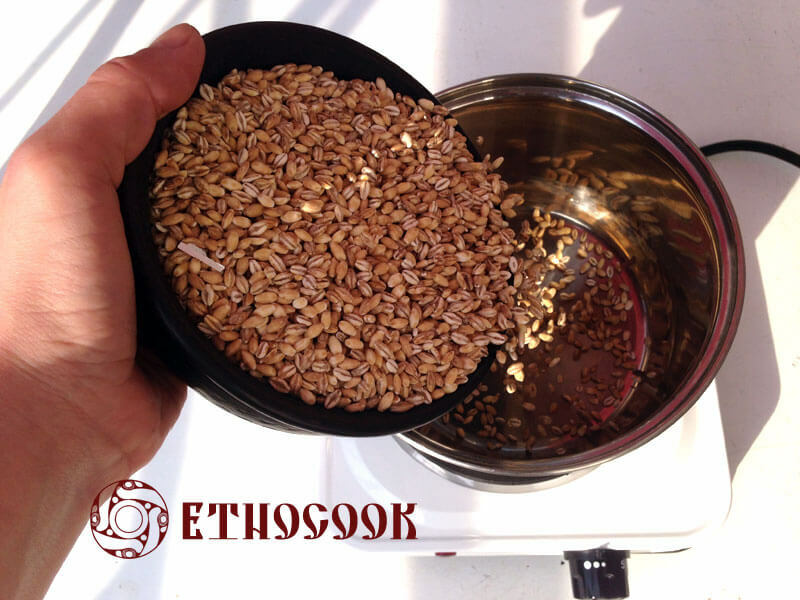 Pearl barley wash in hot water. 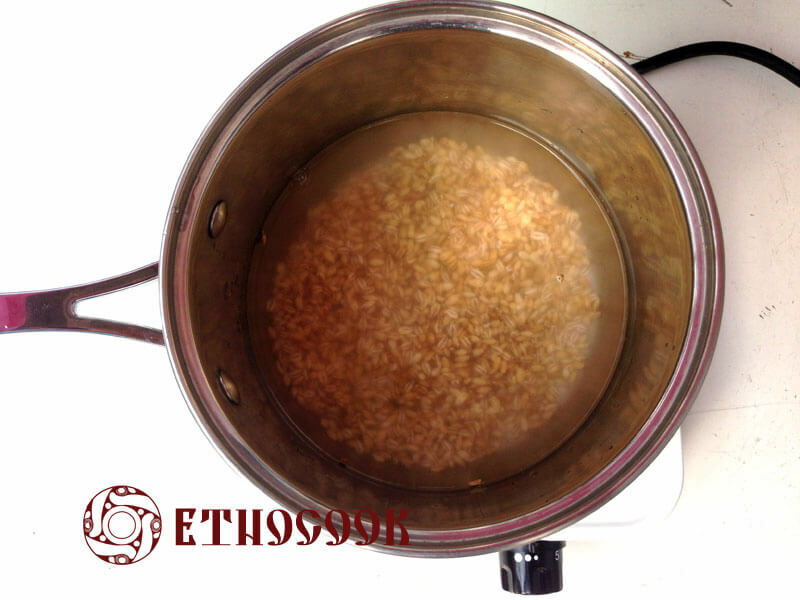 Then put it in pot and fill with hot water (1 liter, temperature ~ 70-90C) and give stand for 2 hours. 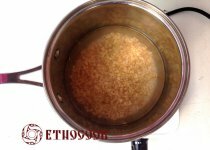 Drain the water, add fresh hot water (750 ml., ~ 70-90C), optionally add salt to taste, bay leaf, boil, reduce heat to low and cook under the lid closed until cooked ~ 30-40 minutes. 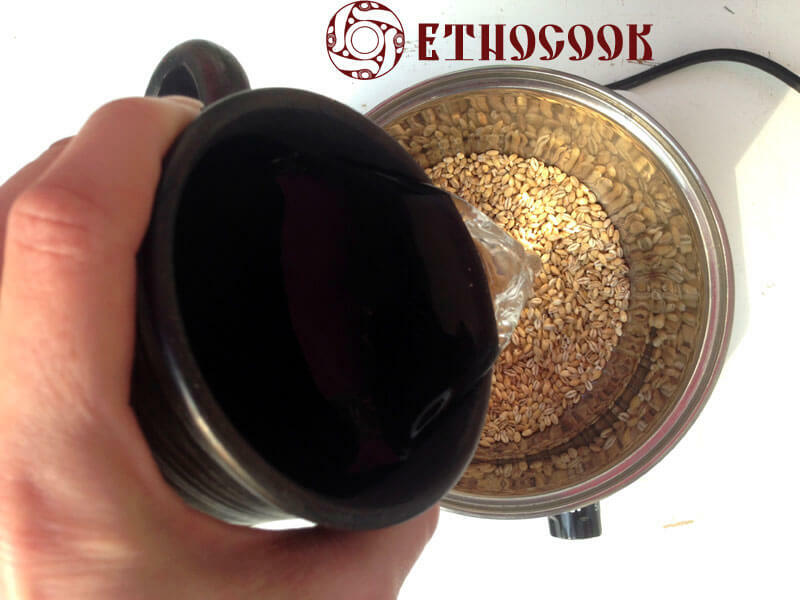 Remains of water merge. Mix the fresh cheese until it has creamy texture, optionally add melted butter, salt and milk. Add to the cheese mass cooked pearl barley. 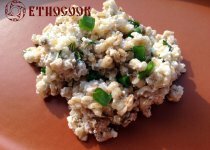 Add cut greens.